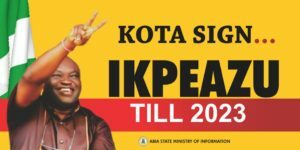 May 12th 2017 will be a very significant day in Abia State because some Political Gladiators will return to trenches after owing up to the fact that the Case Instituted by the President Of Master Energy Dr Uche Ogah against Abia State Governor Dr Alex Otti does not hold any water,hence cant remove him as the Governor of Abia State. 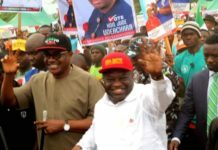 Lately a lot of Media attacks had been sponsored against Governor Okezie Ikpeazu by those seeking his “Mission Impossible” removal for the simple crime of emerging the candidate of the Peoples Democratic Party in the December 8 2014 Governorship Primaries of the PDP held at the Umuahia Township Stadium. 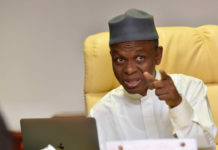 Am aware that Section 31 of the 2010 Electoral Act as amended gives a co-aspirant the opportunity to examine the documents of an opponent to validate whether he was qualified to contest for the primary election or not, but the Electoral act is not superior to the 1999 Constitution of the Federal Republic Of Nigeria which made it clear that a candidate cannot be disqualified in that line. The law is well settled on the qualification for the office of the Governor. It does not go beyond the constitutional provision for qualification. Tax and matters appertaining thereto are not constitutional requirements so it is very laughable for some people to think that the Supreme Court will rule otherwise on Friday the 12th of May 2017. 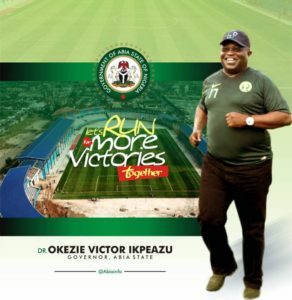 Governor Okezie Ikpeazu was a civil servant prior to resigning in the run up to the 2015 Governorship election. His taxes as such were deducted at source. That point is salient. Nobody not even the Lawyers of Uche Ogah has ever contested that fact. The complaint that the certificate issued to him by the tax authorities is said to have a Sunday or Saturday date has no locus to remove him as the Elected Governor of Abia State since the tax authorities owned up the certificate. 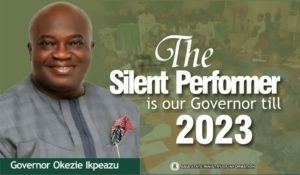 It would have been a difficult case had the Tax Authorities denied ever issuing Governor Okezie Ikpeazu the Certificate. 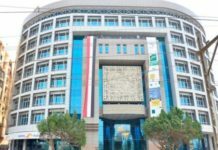 The board of internal revenue owned up the Tax papers issued to the Governor. Whether even the date is Saturday 6th May 2017 how does that concern the man they issued it to ? 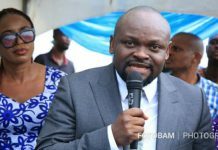 or are there desperate plot to thwart the massive votes cast for the Governor during the 2015 Governorship election in Abia State. Assuming the certificate you have ; maybe B.SC is found out to have been dated on Sunday by your school Authorities , would you think it is just to deny you of your hard earned certificate ? It is on record that the Governor was a civil servant at all material times , his tax was deducted at source. Why would anyone want him to suffer for no fault of his ? 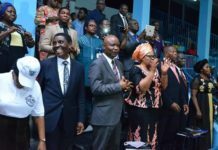 The Supreme Court does not deliver Judgement based on the emotions of Litigants hence the Supreme Court will uphold the position of the Law by dismissing the Appeal filed by Dr Uche Ogah. It is Impossible for the Supreme Court to disqualify an otherwise qualified candidate. That is the current position of the law which was restated in the case of Cross Rivers State Governor Prof Ben Ayade. The evidence before the court as per sworn affidavit of Abia State Internal Revenue Board exonerated Governor Okezie Ikpeazu. The date on the receipt is immaterial. 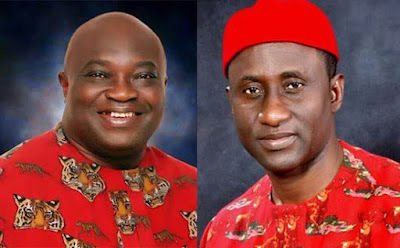 It is also worthy to note that Dr Uche Ogah did not contest the Abia Governorship Election. 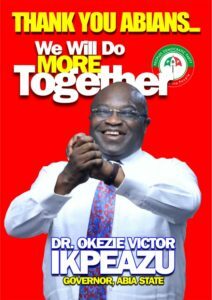 It is on record he rejected the outcome of the PDP primaries that produced Okezie Ikpeazu as the candidate of the PDP,hence one wonders why he is desperate to benefit from an exercise he had rejected . It is not the duty of the Court to choose Candidates for political parties. The Same Law that was upheld in Alex Otti Vs Okezie Ikpeazu at the Supreme Court will also be upheld in Uche Ogah Vs Ikpeazu . Dr Alex Otti joining the suit to me is immaterial because once the Supreme Court upholds the Law,his application will be useless. 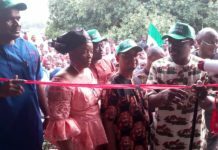 I have consistently said that what Governor Okezie Ikpeazu is suffering is what I termed “Transferred Aggression” but the gladiators should wait until 2019 to show how strong they are in the Politics of Abia State.